Falcon Heavy launch - there's a Tesla in space! Post subject: Falcon Heavy launch - there's a Tesla in space! 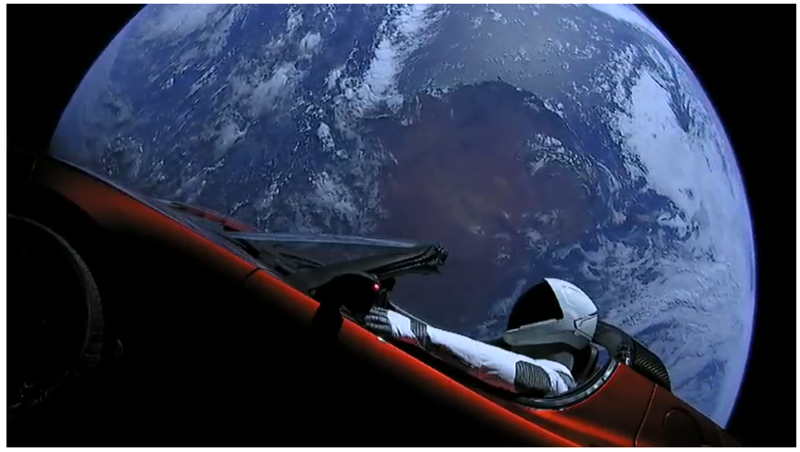 Post subject: Re: Falcon Heavy launch - there's a Tesla in space! This seems very promising - finally a push forward in spaceflight. Possibly a circumlunar flight in the works, too (for tourists!). Great things schedules this year - both the Dragon 2 planned manned flight and the CST-100 Starliner planned manned flight. Hopefully these will materialize. Nope, not the only one. So much for Russell's Teapot!